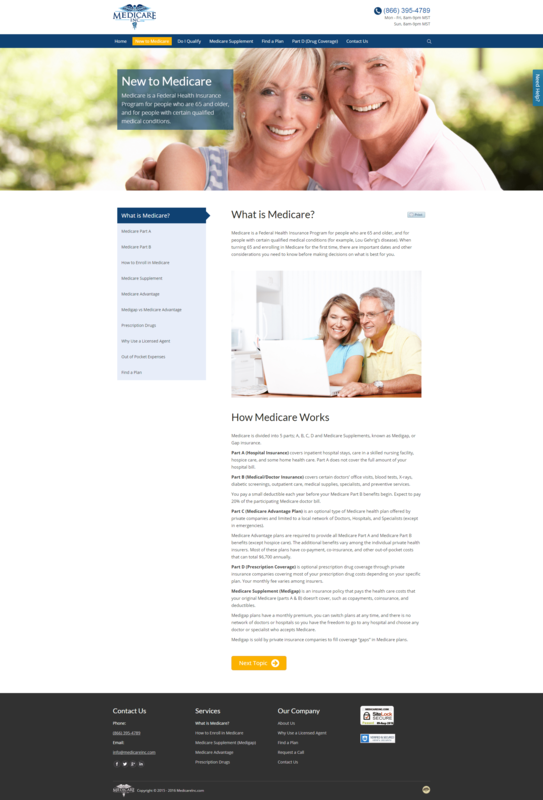 MedicareInc.com is an Arizona based insurance agency focused on nationwide senior health care. 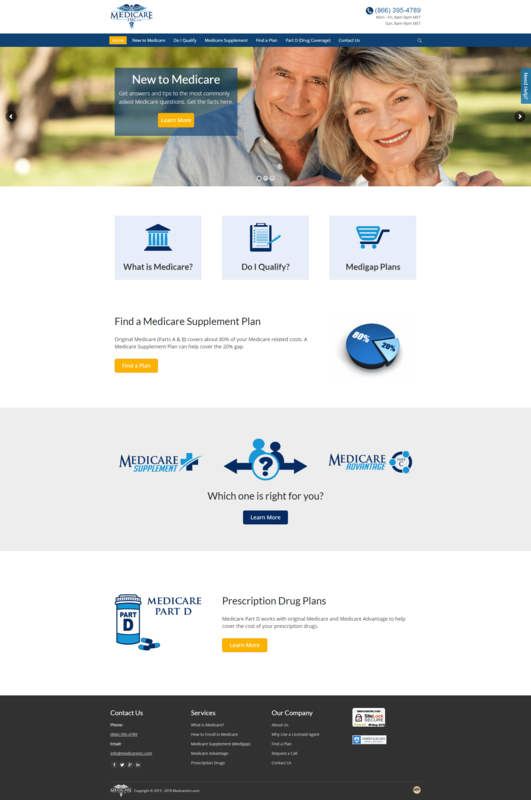 Our agency is built on the cornerstone of educating beneficiaries about Medicare Insurance. We are dedicated to helping people get the maximum coverage available at the lowest price while providing the best coverage options available. Problem: The client needed a method to capture leads through an online form. 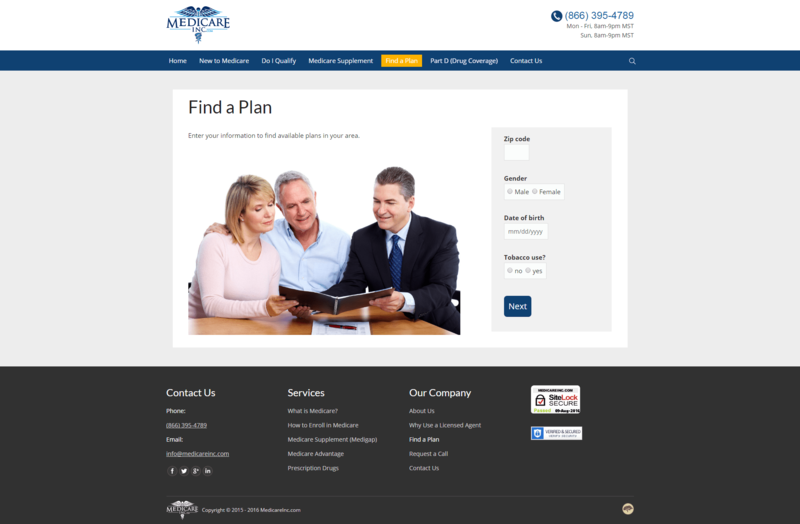 Solution: We created a form, using Contact Form 7, that functions across multiple pages.